New for 2007 - Character first! More step-by-step information! New film clips! More *unique* information! 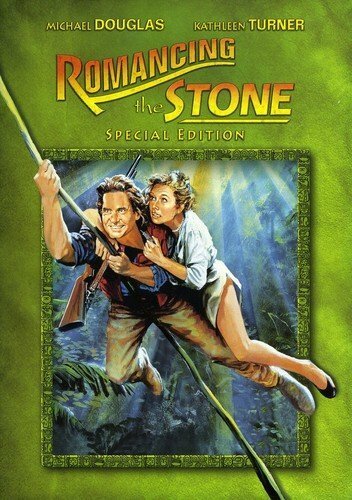 And we're using ROMANCING THE STONE as our primary example. We start with the naked character. What is a character? What are the important elements of character? Then we will use proven techniques to build a compelling protagonist from the ground up. This new class will take you step-by-step from blank page to fully formed character, then show you how to find the story within that character. How to find the great film idea from your character's emotional struggles. How to find theme within the character. How theme connects all of the elements in your script. Examples will include ROMANCING THE STONE, THE INCREDIBLES, and DESPERADO. INTRO: The Naked Character - Starting from scratch. What is a character? Why are characters the most important part of a movie? Why start with character? 1) The Character Tool Box - The best tools for character creation. Back stories? Character Bios? How much do you need to know about your characters before you write? Different types of character creation tools, from the Big Tools to the Finishing Tools. When to use each tool. 2) Big Character Tools - You Are The Most Important Tool. Why all stories are autobiographical. Finding the characters inside of you. Role playing. Self analysis and honesty. Fighting your fears... and turning them into stories. 12 ways to make your lead character likeable. 20 character building techniques for protagonists. The 3 best techniques to make your protagonists three-dimensional. Emotional and physical conflict - why you need both! Character Moments and moments of revelation. 3) Finishing Tools - The little things that make characters memorable. How your character's job, props, clothes, friends, home, traits, slang and car can give the audience important information and make your characters spring to life. All of those details that add to character! 4) Character and Concept - Finding the big screen idea within your character. Finding your personal connection to an idea, or growing a high concept idea from your personal experiences. Magnification, finding the core idea. How a high concept idea can explore character better than a bland idea. 5) Character and Story - Growing story from character. The 10 critical elements of any story. How story works. The connection between story and character. Emotional conflicts for your character and external conflicts that explore character. 6) Character and Theme - How to find theme with your character and use theme to explore your character. Why theme is the most important element in a screenplay. Theme and nexus. Theme and dialogue. 7) Character and Outlines - How to outline your script: from beat sheets to note cards. Turning your character and idea into a flesh-and-blood story that will explore character rather than ignore character. Road maps to character - how you can create built-in character moments. 8) Character and Structure - Structure: traditional 3 Acts to Structural Freaks. 7 alternate structures for your screenplay. How the traditional 3 Act structure REALLY works - why it's been used for over 2,400 years. Using 3 Act structure to tell non-traditional stories like MEMENTO and RUN, LOLA, RUN. 5 techniques to improve pacing... and why pacing is critical to every screenplay. "Genre juice" and pacing. Now that we've created a compelling character and the story that best explores their character, it's time to How to find the character's unique voice and create the supporting characters who best bring out the character of your protagonist. You'll learn how to show character through actions, decisions and interactions with environment. Examples will include ROMANCING THE STONE, BREAKING AWAY, MULHOLLAND DRIVE, and AIRPLANE. 1) Supporting Characters - Creating distinctive speech patterns for each character. Over 10 character building techniques for supporting characters - how to make them individual and memorable. Creating great antagonists, great love interests, great minor characters. How subplots are part of the main plot, and supporting characters support your protagonist. 2) Character and Dialogue - 5 ways to create original dialogue... by making up your own words! Over 20 techniques to make your dialogue sing. 5 ways to remove OTN (on the nose) dialogue. Character based dialogue. 3) Character and Actions - Visual characterization and visual story telling - 12 tools you can use today! How to *show* character through actions. Why action scenes *are* character scenes. Thinking in pictures. Turning emotions into actions. 4) Character and Scenes - Ten ways to create new scenes. Using dramatic situations to expose character. Using story and character DNA in scene creation. How long should a scene be and how many should I have in my script? Match cuts and ways to connect scenes. 7 things all scenes *need* to work. 5) Emotion Pictures - A good script emotionally involves the reader. How to involve the audience by using reversals, suspense, and plot twists. How to create audience participation through choices. 6) Character and Conclusions - Creating endings that make us want more. 14 types of endings for your screenplay - which is best for YOUR script? 5 critical elements that ALL screenplay endings need. Happy endings and the other kind. 7) Rewriting Your Script - Trimming the fat from your script. Focusing on character and character arc. 4 techniques for exploding cliches. Polishing and preparing your script for market - 30 rewrite tips. More! 8) Your Screenwriting Career - 25 methods to build your career... things you can do TODAY! What does Hollywood want? Writing scripts that sell. How to sell even without an agent or manager. FADE OUT: How YOU can live in the dream world - writing movies that actually get made! I got more from your class than any other. Very practical information presented in an easygoing, approachable manner. 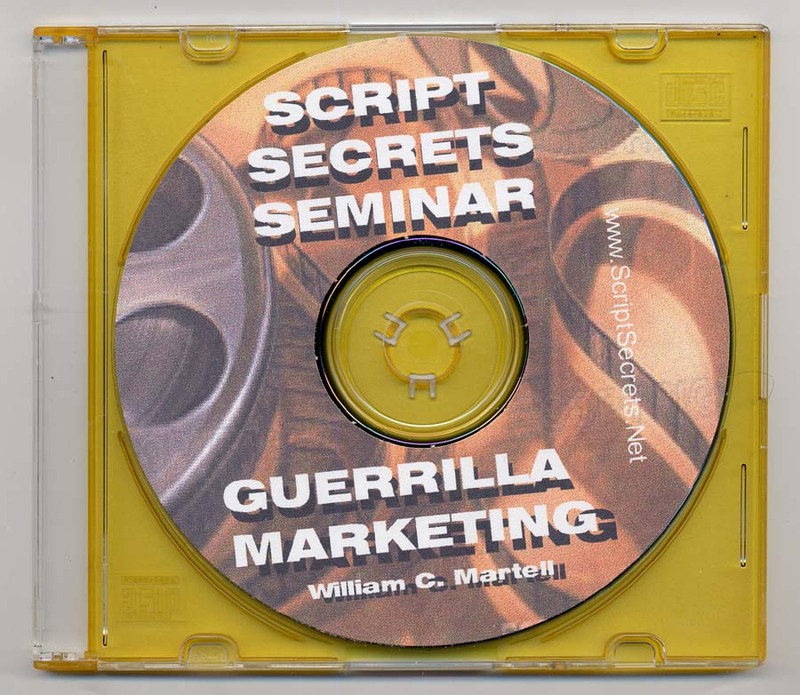 With his no-nonsense presentation and nuts-and-bolts approach, Bill Martell demystifies the often obfuscated process of screenwriting. Using concrete examples from classic movies and recent blockbusters, Bill takes the "woo-woo" out of the art of writing for film and replaces it with solid craft. Want a brochure and registration form? E-mail me your postal address: Send Me A Registration Form! Show Me The Monkey! The new Script Secrets *Typing Monkey* logo is here! He's busy working on PLANET OF THE APES 2... but you can have him *now* on a coffee cup or sweat shirt or messenger bag! 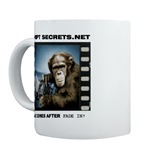 I drink my morning coffee from a Script Secrets Monkey mug. Would you like a Script Secrets Typing Monkey mug of your own? The Script Secrets Store is OPEN! What screenwriters do you absolutely hate? What films are over-rated? Is DECK THE HALLS one of the signs that the world is about to end? Be heard: Movie Discussion! My friend Jeff Burr's new movie is SAVING PRIVATE RYAN meets FREAKS! Coming in 2007: The NAKED SCREENWRITING CLASS! The 2001 London Class on 8 CDs! Recorded *live* the morning after the Raindance Film wrapped. Over ten of the sixteen hours of class, plus a workbook, plus some sort of bonus CD... all for one reasonable price! To discuss this Script Tip or ask a question, check out the Message Boards - and the FINAL DESTINATION 4 game in the game section!